With all these features, no PDF application in the world is a match for PDF Note Pro - never mind all the features PDF Note Pro offers; 99% of PDF applications don't even have a corresponding macOS/iOS version. 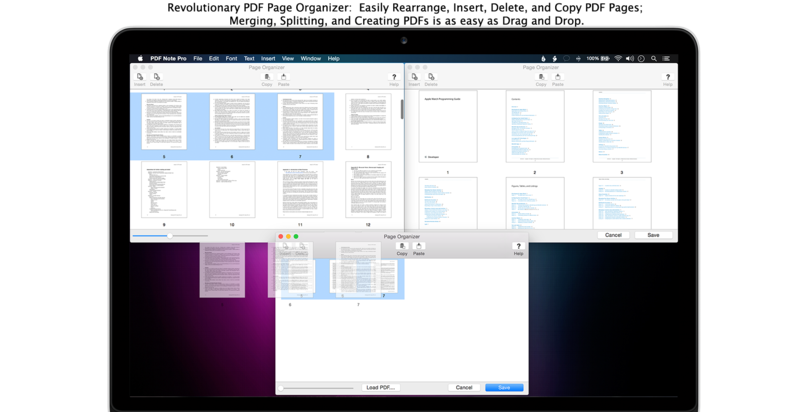 Which alone makes PDF Note Pro the most valuable PDF Editor and gives you the most bang for your buck - guaranteed. 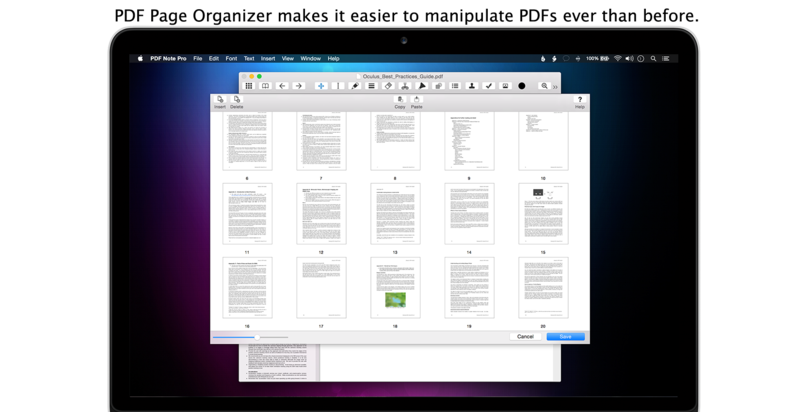 Best of all, PDF Note Pro is free for iOS and only $9.99 (U.S.) for macOS! 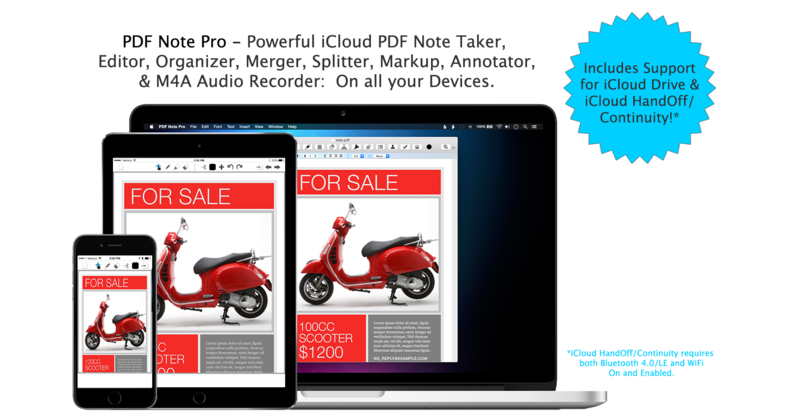 Learn how to use PDF Note Pro as well as learn how to make the most out of iCloud! Visit our Support Site. iCloud is completely optional -- PDF Note Pro works just as well offline as online!